Called ‘Cajeta’ in Colombia and ‘Doce de Leite’ in Brazil, Dulce de Leche is a sweet sauce prepared slowly by heating sweetened milk. This Canelé is named after the famous Panamericana, the emblematic highway that runs through the entire American continent. From Monterrey in Mexico to Buenos Aires in Argentina, Dulce de Leche, in its various local adaptations, is your sweetest travel partner. 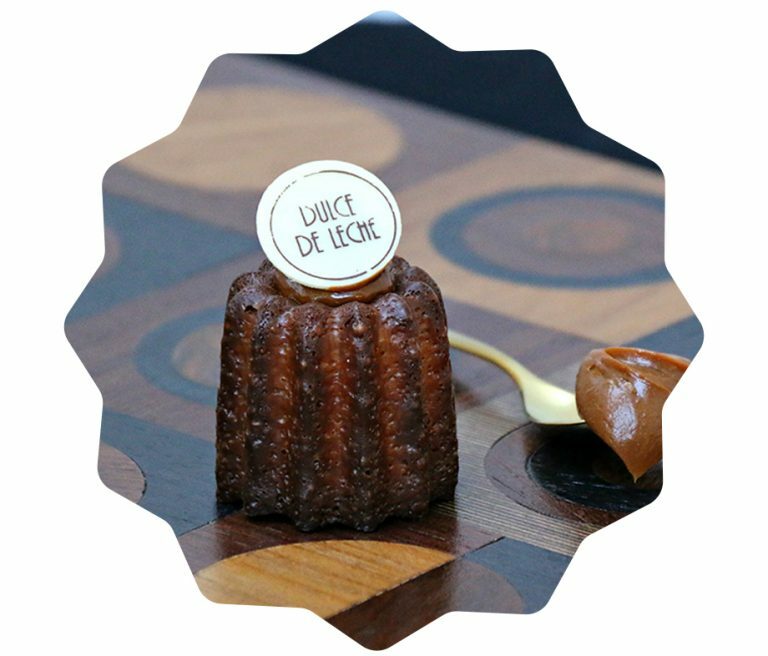 A caramelised crust with a soft custardy heart, this Canelé is filled with this all time Latin-American classic. Contains milk, gluten (wheat), eggs and soya. Made in an environment that handles nuts and soya. Alcohol free.